Jørgen Rasmussen and his twin brother Ib Rasmussen were born in Odense, Denmark on April 26, 1931. Jørgen was born 10 minutes before Ib, making him the eldest. Both brothers are architects and studied at The Royal Danish Academy of Fine Arts, School of Architecture, from which they graduated in 1955. 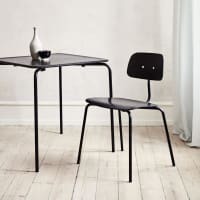 In their student days the identical twins took great pleasure in confusing others with their appearance, dressing the same and changing places. Ib was in Greece when he should have been graduating from the academy, so Jørgen posed as his brother and defended Ib’s final project before the Academy council members. Directly after graduation, the brothers served in the Danish Navy for 14 months, then began their careers as architects. In 1957 the twins started their own studio, where they quickly achieved success with their designs for single-family houses and won several architectural competitions. At the beginning of this period, they each won a gold medal from the Academy for separate projects. Their studio never employed more than six workers, as they felt they would lose direct contact if there were more employees. In 1958, they began working with KEVI A/S at the request of the company’s manager and main shareholder Bent Harlang. They started by designing a villa for Bent Harlang. The project was successful and the chemistry was good, so the twins were asked to design the company’s chairs. 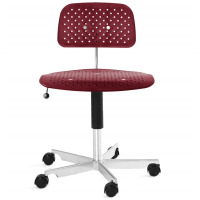 The new chairs caught on, and by the end of the 60s the Kevi Chair had been transformed into a multipurpose work chair for the office or home. 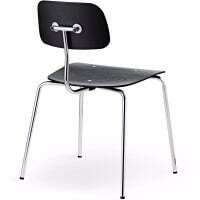 During this period it was mainly Jørgen Rasmussen who was involved in the development of the Kevi Chairs. In 1965, Jørgen invented the double-wheel castor, for which he was awarded the ID Prize. 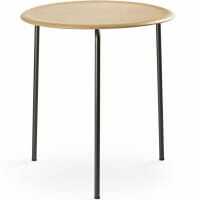 The Kevi castor went on to become an iconic Danish product. 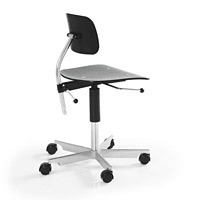 It was originally developed for the Kevi Chairs, but its range of potential applications is far wider. 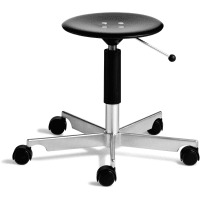 The Kevi castor is used in many products for various firms, such as Bang & Olufsen and Philips televisions and IKEA products. 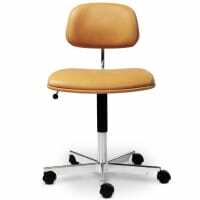 When Kevi A/S and Fritz Hansen A/S merged in 1986, the production and marketing of the Kevi Series came under the Fritz Hansen brand. In early 2008, Jørgen Rasmussen transferred the production and marketing rights to Engelbrechts A/S, which now owns the Kevi® trademark.